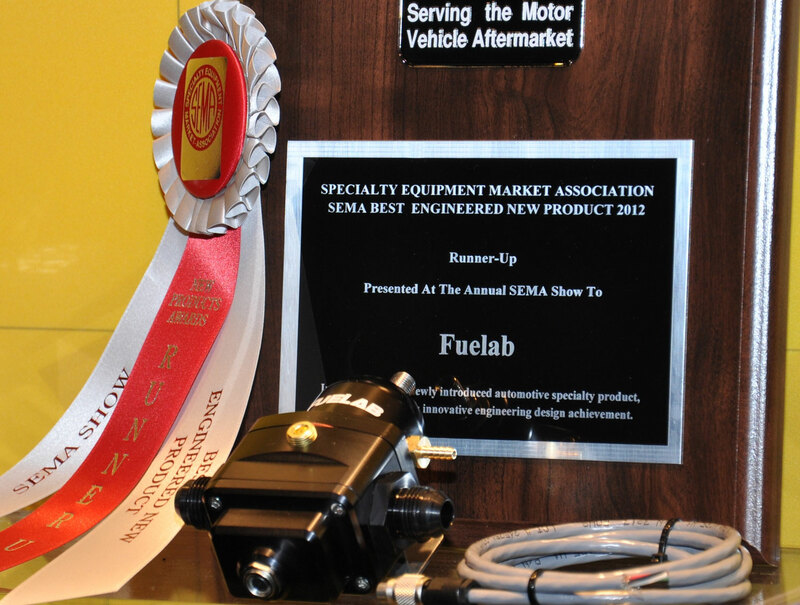 Fuelab’s remarkable Electronic Fuel Pressure Regulator claimed Runner-Up spot in SEMA’s Best Engineered New Product category during last week’s annual exhibition in Las Vegas. In addition they won the Global Media Award with the same product. 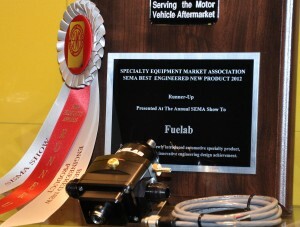 SEMA officials accumulated almost 2000 entries for their various categories. Next month Fuelab will be exhibiting in Orlando at the PRI exhibition, Dec 1-3 (booth 2313) and a week later in Indianapolis at IMIS, Dec 8-10 (booth 1632).